Nike has just released their latest refinement to the Metcon Flyknit line. Let’s talk about the Nike Metcon Flyknit 3. 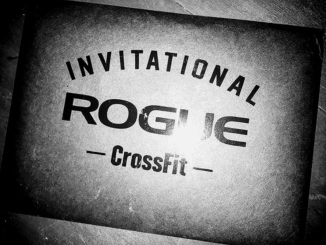 It’s now available online via Rogue Fitness. How does the Nike Metcon Flyknit 3 stack up versus the very popular Nike Metcon 4? Which is the right CrossFit training shoe for you? 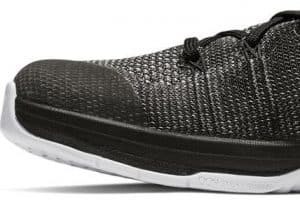 Let’s review what makes the Flyknit 3 special. It means these shoes can handle anything and everything you might have to do in the CrossFit WOD. 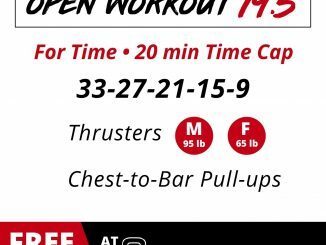 And as you know that means lifting heavy weights – both of the Olympic and powerlifting variety, running, jumping, rope climbs, and more. But even if you aren’t into CrossFit – these are versatile and tough training shoes. 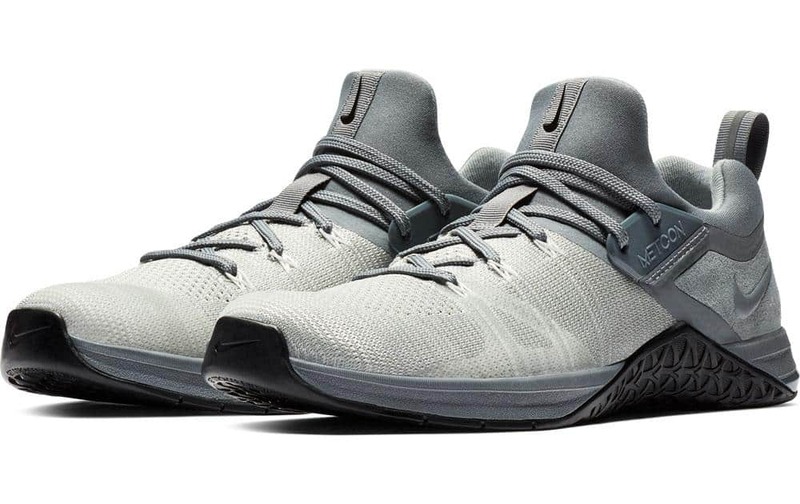 Nike Metcon Flyknit 3 Release Date The Nike Metcon Flyknit 3 cross training shoe is available now via Rogue Fitness. 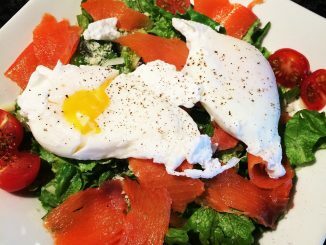 First, let’s talk about lifting heavy weights. What makes the average running shoe a poor choice for a weight lifting workout? They usually have too much cushion – in the midsole, outsole, and heel. 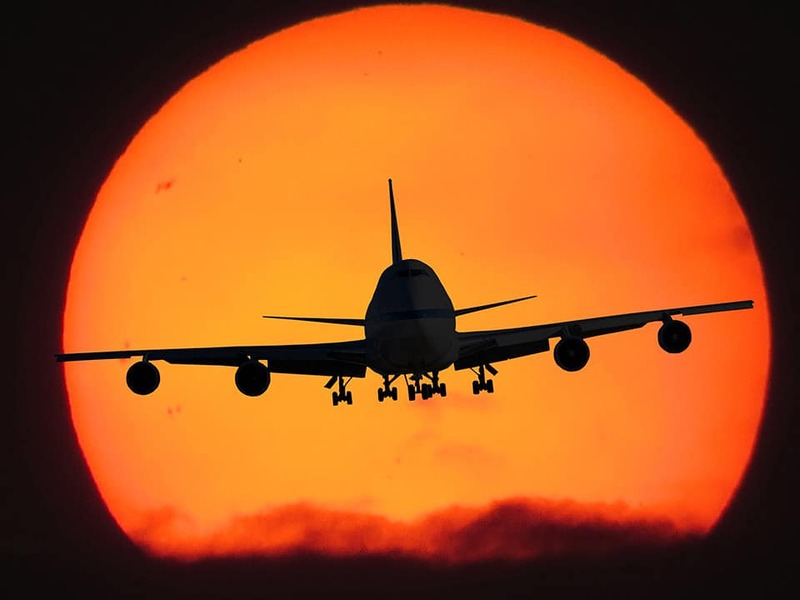 This is bad – because if you’ve got several hundred pounds overhead – or on your back – you don’t want your feet mushing around in too much cushion. Think about it for a moment. What’s the one obvious characteristic of the squat shoes used by Olympic lifters? They are insanely rigid and have almost zero cushioning. In fact, it’s not uncommon for squat shoes to have a heel made of solid wood. Find out more about weightlifting shoes. But, have you ever tried to run (or jump) in a pair of squat shoes like the Nike Romaleo or Adidas Powerlift line? They just aren’t the right shoe for that job. 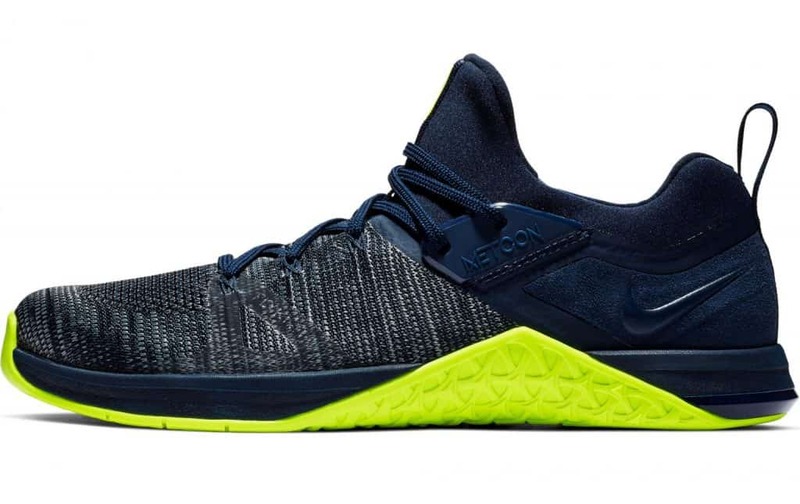 So, here’s what the Metcon line (and the Nike Metcon Flyknit 3) have instead. 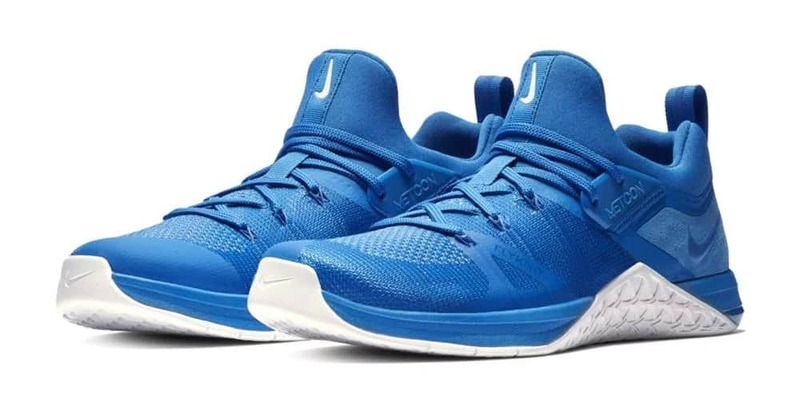 These shoes have a fairly rigid heel (Nike describes it as a “firm rubber heel”) – and just the right amount of cushioning in the drop-in dual density midsole. You’ve got to be able to run and jump, and lift weights – maybe all in the same workout. 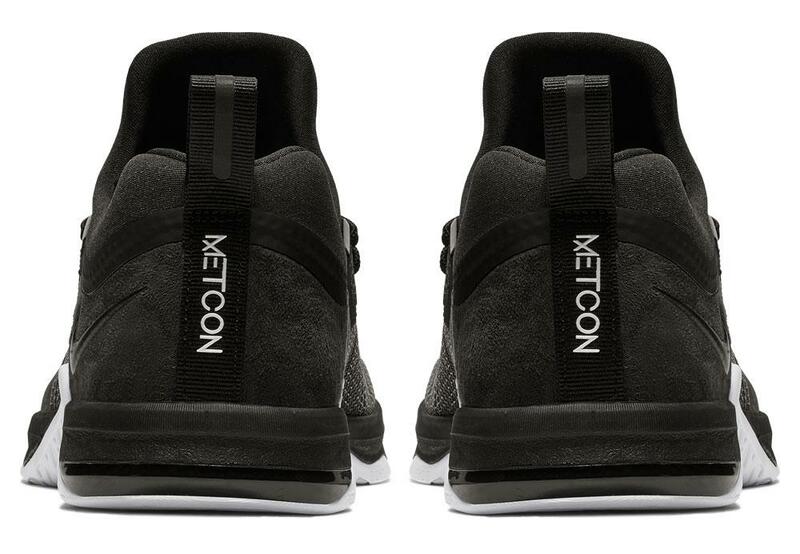 The Metcon line lets you do that. 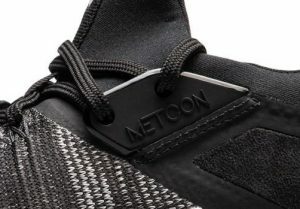 The Metcon shoes are low profile as well. What does that mean? It means very little heel to toe drop. While an extremely elevated heel can be a big help in getting low on a heavy squat, it’s not conducive to midfoot strking for running, or for jumping. A low-profile, minimal drop shoe is preferable for versatility. And that’s what the Nike Metcon Flyknit 3 is. So, the Nike Metcon Flyknit 3 is a low-profile shoe. 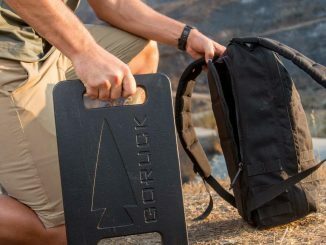 It’s not as rigid as a weightlifting shoe – because then you couldn’t run, box jump, or skip rope. 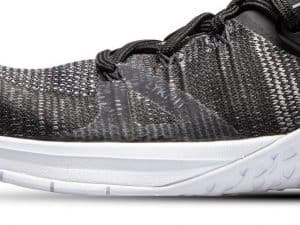 The Flyknit 3, like all the 2019 Nike Metcon shoes, have pre-formed flex grooves in the forefoot. This helps ensure flexibility – where you want it. The Flyknit 3 has a dual density, drop-in midsole for added cushioning as well. 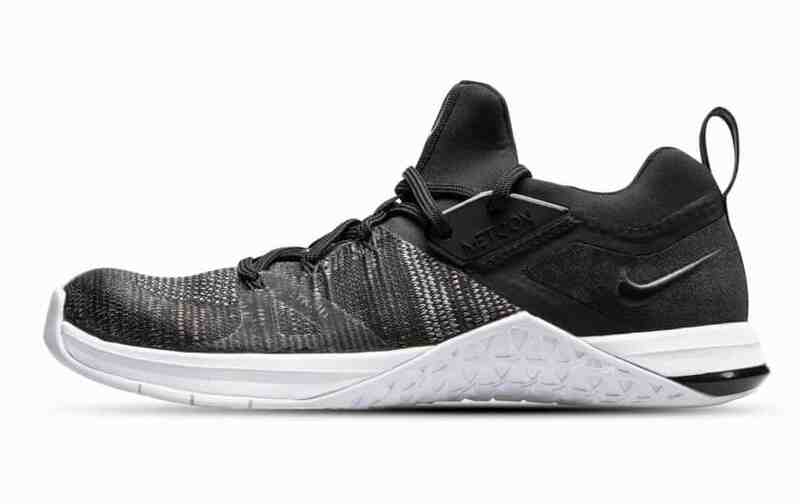 And this is one area where the Metcon Flyknit line has traditionally differed from the regular Nike Metcon 4. 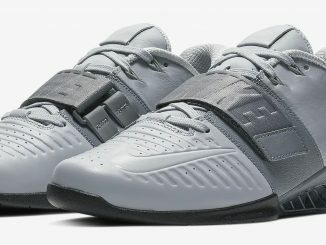 Think of Nike Metcon 4 as the best weightlifting cross training shoe – because of it’s stability and firmness. But, it’s not as well equipped for running, especially longer distances. Can you run in the Nike Metcon 4s? Yes, absolutely – but they are not a running shoe. 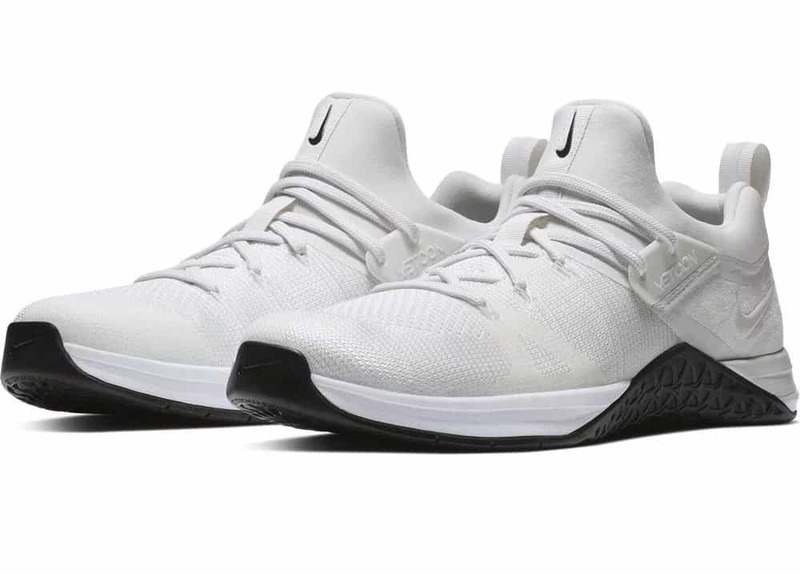 The Flyknit line is a good option if you want a cross training shoe with a little more cushion than the Nike Metcon 4. It’s also got features that runners like. The stretch-woven sleeve provides for a sock-like fit. 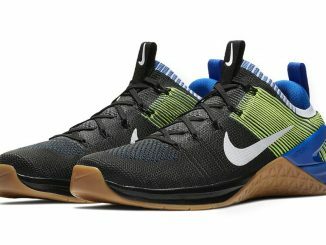 But perhaps the biggest difference between the Nike Metcon 4 and the Nike Metcon Flyknit 3 – is the material for the upper. The “upper” is the part that covers your foot. 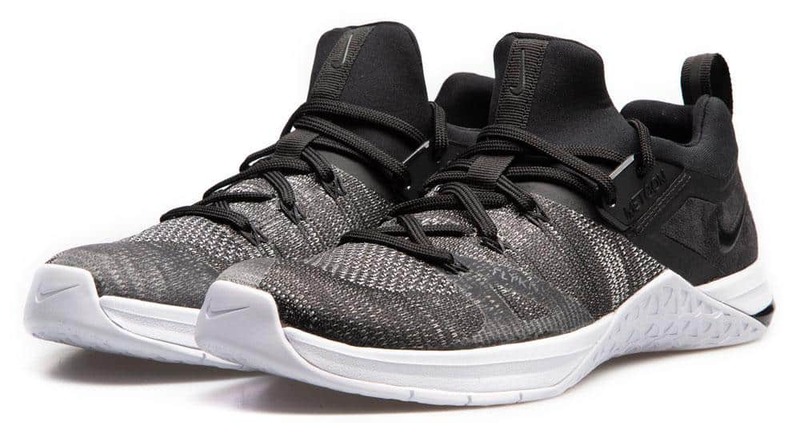 As the name suggests, it uses the lightweight, breathable “Flyknit” material that Nike first developed back in 2012. FlyKnit is a material that Nike can use to create shoes with a very light-weight, formfitting feel. The material is really “knit” from polyester yarn and as such there are hardly any seams. The whole “upper” part of the shoe is therefore better fitting and lightweight. Overall, it’s a very precise, sock-like fit. Here’s something else a good running shoe needs – a reflector in the heel for safer night time running. 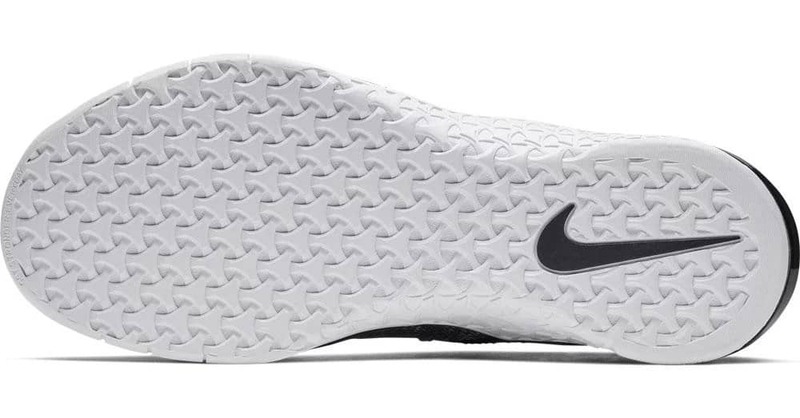 Here’s another unique feature of Nike shoes – and used to good effect in the Nike Metcon line. The laces incorporate Nike Flywire. 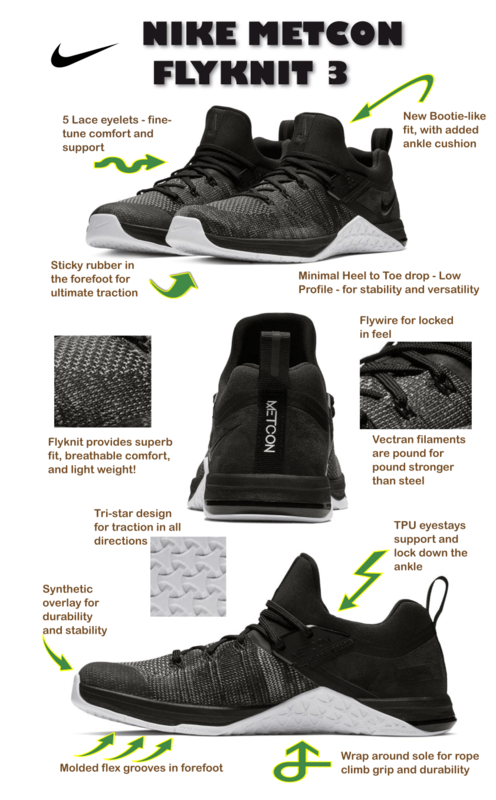 Flywire is Nike’s trademarked name for their system of Vectran filaments that are interlaced with the shoe laces, and throughout the upper of the shoe to create a very secure fit. Think of this as the equivalent of a midfoot strap you’d see on a weightlifting shoe. What you can’t see there is that those filaments are woven through the body of the shoe. And just in case you think those Vectran filaments look weak – they are not. That material is pound for pound stronger than steel. You can see that it is integrated with the laces, so as you tighten the laces it helps cradle your whole foot. 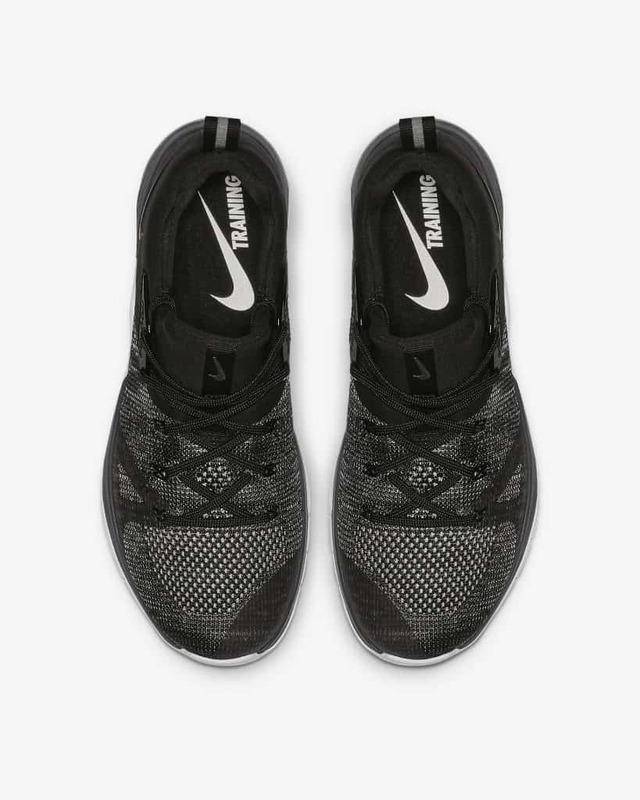 The Nike Metcon Flyknit 3 also has the wrap-around outsole that makes these shoes so good for rope climbs. You’ll notice the area where you’d grip on a climbing rope with your shoes has the tough sole material wrapping around the shoe. And this means durability. Rope climbs can absolutely shred the weak upper on a non-specialized training shoe. But, that’s not a problem here because that tough, grippy outsole material will only make contact with the rope. At this point you might be wondering – how is the Flyknit 3 different than the Flyknit 2? They’ve added synthetic overlays in high-wear areas such as the toe and lateral side to enhance durability. 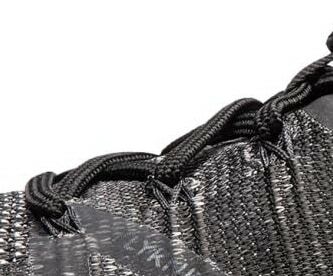 You can see these in the pictures – notice the area around the bottom-most eyelet. 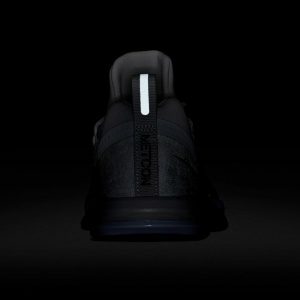 There’s material connecting to the shoes outsole. It’s a bit harder to see on the inside toe area – but it’s there as well. 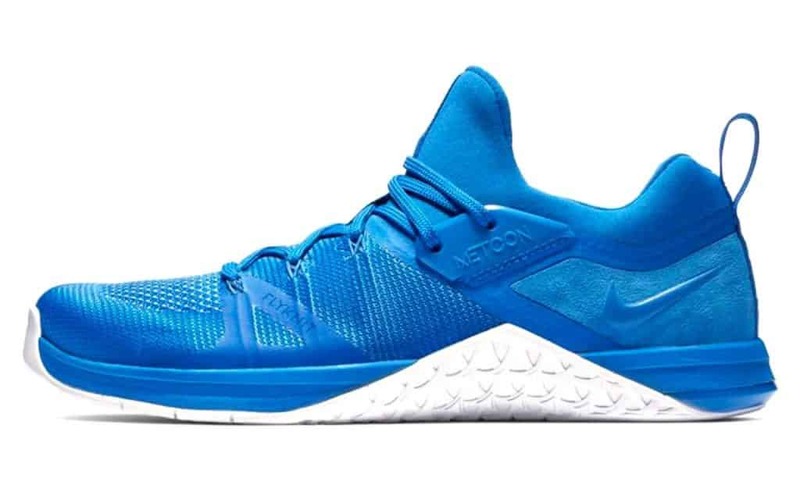 It has also borrowed a bit from the Nike Free X Metcon. It’s got an even more bootie-like fit and appeal as compared to it’s predecessor. You can see it in the profile, it almost looks like they’ve married a Nike Free X Metcon shoe to a FlyKnit shoe. Ankle cushioning is improved as well, compared to it’s predecessor. Glad you asked. It’s thermoplastic polyurethane – a hard, but smooth plastic that is super durable and somewhat rigid. Nike has improved upon their FlyKnit version of the ultimate cross training shoe with the Nike Metcon Flyknit 3. 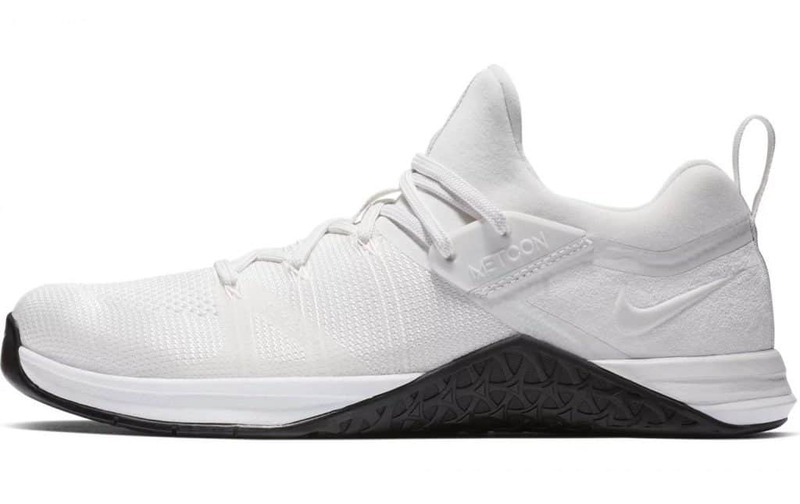 You may also want to check out our review of the Nike Metcon 4 XD and the Nike Free x Metcon – which is an excellent shoe for WODs and running. 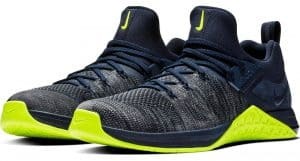 The Nike Metcon Flyknit 3 leverages all the great features of the Nike 2019 Metcon line – low-profile, maximum support heel, flexibility, and traction. But if you prefer the Flyknit fit – a featherweight, sock-like fit – the Nike Metcon Flyknit 3 really stands out. The Nike Metcon Flyknit 3 is competitively priced compared to other serious cross training shoes. Nike Metcon Flyknit 3 product photos are courtesy of Nike.